The present time of ecological crisis sometimes called the “Anthropocene” is also one of epistemological crisis. Behind heavily mediated political problems such as “Post-Truth” or “Alternative Facts” lie confusions about what is true, real and how it can be communicated as such in a world marked by unprecedented environmental erosions and a subsequent loss of a so-perceived “common world”. This confusion and crisis of our systems of knowledge production are, however, nothing completely new. By reexamining the history of occidental Reason and its critique, one observes that notions of truth and factualness have been polemically discussed for many decades. Reason has a very problematic status since it has met diverse – partly fundamental – critiques in the last two centuries. However, what most critical approaches do not rethink is the notion of a unity of reason. To overcome the (modern) deadlock of a merely critical stance towards reason – and in line with contemporary attempts to pluralize other key concepts of European modernity such as „Nature“, „Science“ or „Modernity itself – I propose to pluralize reason(s) to attain better analytical clarity. Through this we are enabled to a) critically affirm the values and strengths of our classical concept of reason, b) show its limitations and problems in the wake of the Anthropocene and c) detect alternative forms of reasons that are emerging in several contemporary discourses and were always dormant but suppressed by classical reason and its tendency to monopolize reason. The aim of this research project is to examine if some of these emerging forms of alternative reasons can be productively labeled and subsumed under the notion of ecological reason. By doing so, it wants to help contextualizing our current political confusions as a symptom of a more fundamental development of a humanity becoming ecologically aware (and being shocked by this). It wants to offer tools to escape various modernist deadlocks that keep us trapped in today’s ecologically catastrophic constitution. 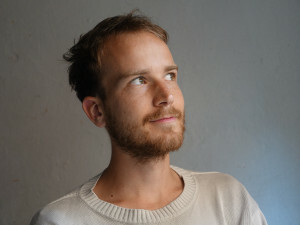 Kilian Jörg works at the multimedia interfaces between art and philosophy. Academically trained in both fields, he employs the expression of text as well as those of installation, performance, and music. He works as a DJ, is founder of the collective philosophy unbound and operates in Vienna, Berlin, and Brussels. His main field of research is that of ecology and ecological life forms, as well as the transdisciplinary borders between arts, philosophy and science.